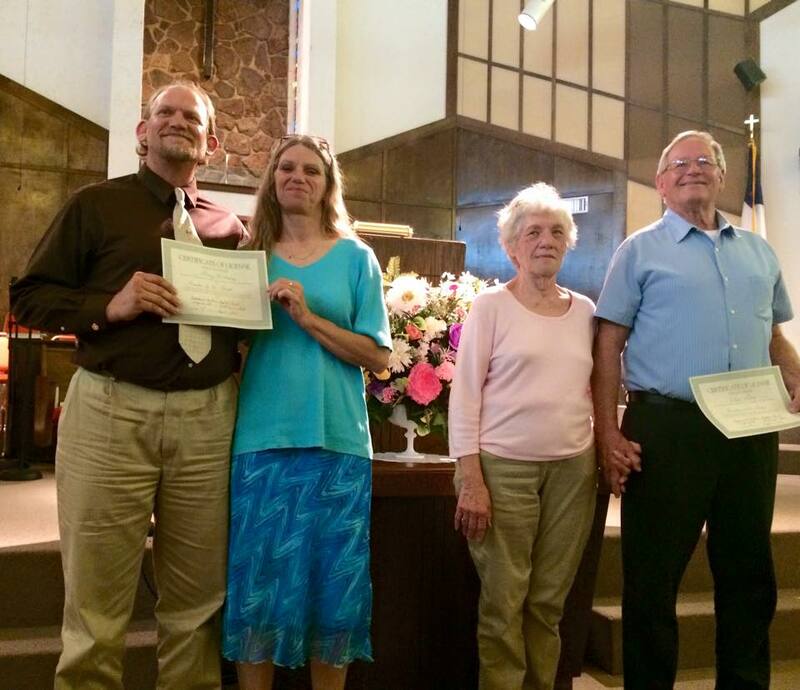 In a ceremony held April 12, Immanuel Southern Baptist Church licensed Gary McElmurry and Elzie Gray to the ministry. Each man gave a brief testimony and the pastor, Rick Boyne, charged them with the task of the Gospel. Ordained men laid their hands on both men and women of the church prayed for both wives. A reception followed. Bro Gary plans to become involved with jail/prison ministry and Bro Elzie interest lays in outreach/evangelism. May God bless both of these men and their families as they enter the ministry. ISBC will begin a new outreach/support group to unwed teen mothers and unwed teen mothers-to-be on June 21, 2010. Lori Boyd will be team leader. The purpose of the ministry will be to provide a loving non-judgmental venue for expectant teen mothers and those who already have children to meet for encouragement, information, and Bible study. Topics of discussion will include parenting skills, pre-natal care, coping skills, and many other pertinent matters. It will meet on Monday evenings at 7 pm in the Fellowship Hall. Email Lori for more information. This past week, children at Immanuel Southern were treated to the very first ISBC Children’s Church led by Jack and Pat Bruce. The Bruces have felt led by the Lord to begin a work especially for children and are excited at the prospect of this new ministry! The children will attend the main worship service through the singing, baptisms, welcome and offering. They will be dismissed to their very own service during the offering. Jack and Pat plan to offer an age appropriate worship setting including Bible stories and individualized prayer times. Children’s Church is for kids Kindergarten through Sixth Grades.